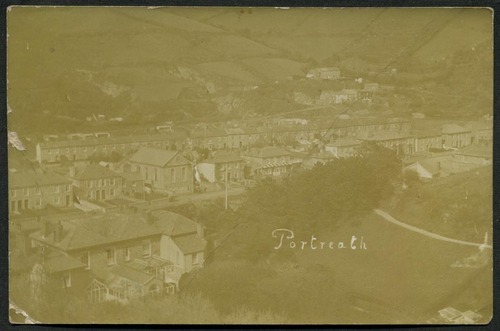 Real photographic - E A Bragg, Illogan (1). 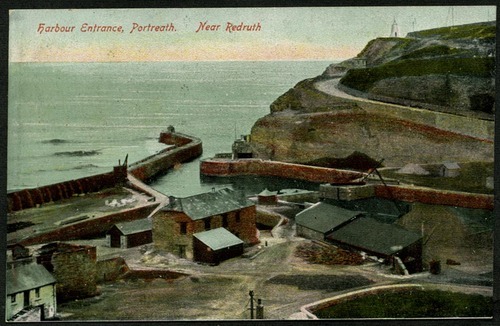 Courtesy of David Thomas. 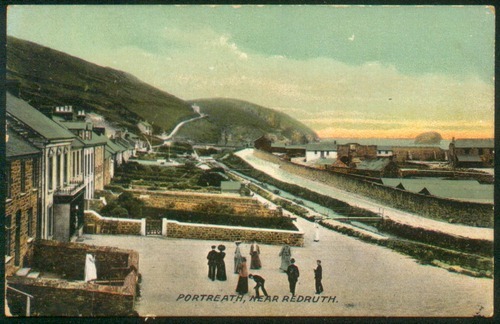 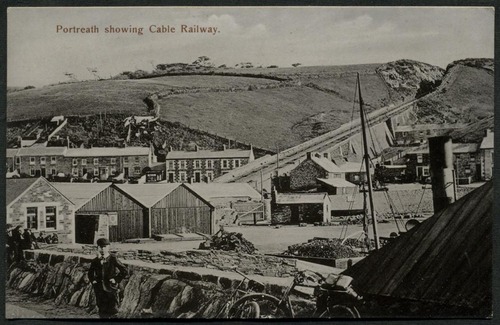 The village of Portreath was formerly an important port serving the mines of the Camborne-Redruth area and much of the trade was in coal from South Wales. 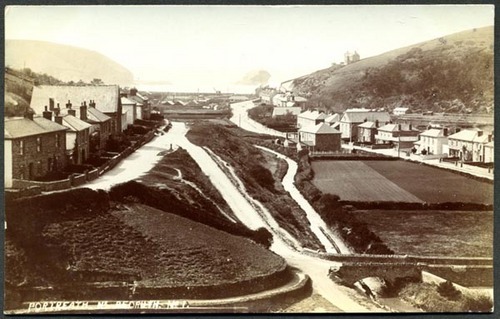 In this photograph the former United Methodist Free Church chapel in Primrose Terrace can be seen on the left, and faces the Wesleyan chapel across the valley. 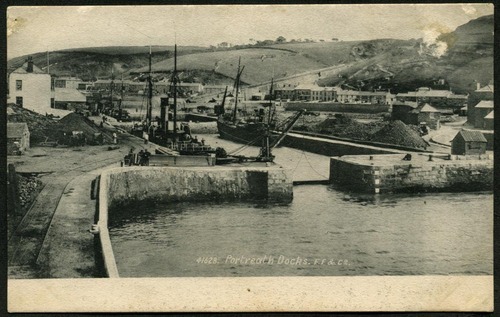 Both are now closed. 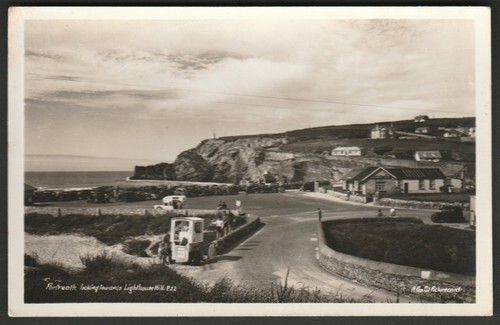 The Gull Rock can be seen in the distance.